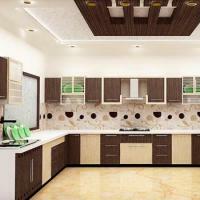 Aqple Interiors is a prominent company based in Agra (U.P) & Delhi / NCR that offers excellent Remodeling Services to clients. From Kitchen Room, to Living Room, to Bath Room, to Office Room, to Shops, to Showrooms, all these set-ups are included in the top notch Remodeling Services that we provide. With the help of our remodeling experts, we will transform the existing settings & give it an elegant look. Great ambience, a sophisticated looking dÃ©cor & a cozy feel - these are some aspects that we stress on, as a part of the Remodeling Services that we offer.